With 40 international events, Texpertise Network is the world’s biggest network of trade-fair and industry experts for textiles and apparel. The subject of sustainability is gaining in importance and the market for environmentally friendly and socially responsible textiles. Find out more below! Is recycling the new organic? The recycling market has made great progress. The retail trade and the industry have joined forces. Initiatives and pilot projects have resulted in functional business models. New technologies, such as RFID chips, are being used and are ready for serial production. An overview by Jana Kern. While a headline such as ‘Apparel made of PET bottles’ would have created a sensation just two or three years ago, you are only likely to hear a bored yawn today. Both the trade and industry have invested large sums in new recycling concepts over recent months. Reusing, redesigning, up-cycling, down cycling – recycling can take a variety of forms. New textile-processing technologies lead to greater energy and resource efficiency. What is the state of the art? And where is there still potential? Three experts from the fields of collection design & cutting out, sewing technology and finishing: Alexander Neuss, CEO of Lectra Germany, Friedbert Schulz, Project Manager, Dürkopp Adler, and Günter Veit, CEO of the Veit Group, discuss the possibilities and challenges. Do you know Harry Cotton? In his new film, Harry Cotton tells consumers about the world. Not the whole world, just the world of cotton. He is the ambassador of the Initiative for Sustainable Cotton (ISC). 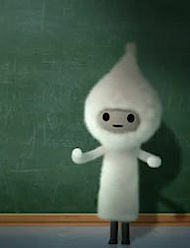 Information and communication are the main obstacles. Regardless of which study one consults, it is apparent time and again that consumers consider themselves to be poorly informed about sustainability. The Initiatives for Sustainable Cotton (ISC) has now launched a consumer campaign. The dates of the Ethical Fashion Show Berlin and the GREENshowroom have been moved forward. For both green fairs, the last edition was a great success. The green fashion market has further consolidated its position. Around 100 eco-fashion brands presented their collections for the coming spring / summer during the Berlin Fashion Week – over 80 of them at the GREENshowroom and the Ethical Fashion Show Berlin. In future, both green platforms will begin on Tuesday. 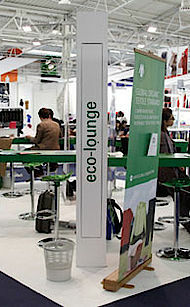 The Texworld international fabric show in Paris to devote a day to environmental issues with the ‘Sustainability Day’ on 18 September 2012. Five top speakers from organisations such as Oeko-Tex, GOTS, WRAP and ECOCERT will discuss topics such as entrepreneurial responsibility, certification and opportunities on the way to a sustainable textile industry during the Sustainability Day at Texworld in Paris. Another main theme will be natural dying processes. As a renewable resource, tobacco could be a valuable and, in particular, sustainable raw material for textiles and apparel. 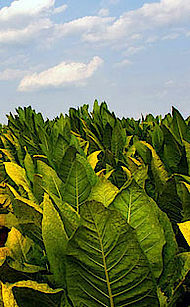 An application for a patent for fibres and dyes made of bio-tobacco stalks has just been registered in the USA. 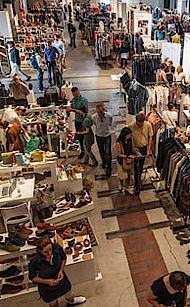 Green fashion at the Ethical Fashion Show in Paris from 6 to 9 September 2012. 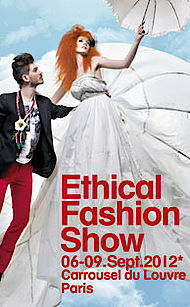 The show goes on and, following its successful launch in Berlin, the Ethical Fashion Show now opens its doors in Paris. With over 50 innovative green labels, lots of topics for discussion and highlights such as a fashion show and an awards ceremony. In the field of interior design and decoration, more and more designers are generating new impulses though up-cycling. 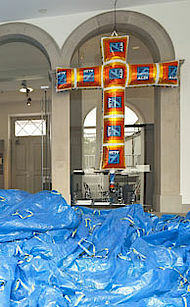 At dokumenta13 in Kassel, artist Theaster Gates created a sensation in the Huguenot House. Great praise was also reserved for designers Augustina Woodgate, who showed carpets made of old cuddly toys, and Ida Corell with her recycling dress. Texpertise Network asked Eco Fashion Insider about the latest developments in the market. How important is sustainability for Asian fashion companies? Who are the pioneers? 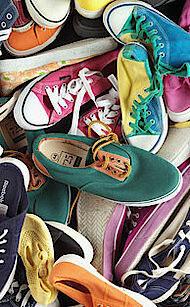 And how long will it take until the eco-fashion market emerges from its niche position. We spoke with Christina Dean of Redress in Hong Kong – a NGO focusing on innovative up-cycling concepts. 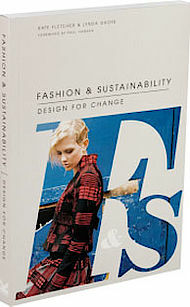 Worth reading: ‘Fashion & Sustainability – Design for Change’, the new book by Lynda Grose and Kate Fletcher has been published. In their new 192-page book, CSR experts Lynda Grose and Kate Fletcher discuss the potential of sustainability in fashion as the dominant subject of the 21st century – from the product, via the entire fashion system, to practical aspects.